When it comes to my all-time favourite survival horror games, Silent Hill 2 would be near the top of my list. In many ways the game introduced me to what a survival horror game was all about. It was creepy, left me with an unsettled feeling throughout, it was difficult, and above all else it left a permanent mark that I still carry with me to this day. It has been over a decade since Silent Hill 2 was released and survival horror games have seemingly inundated the market since then. Despite this, Silent Hill 2 remains a classic and has now undergone a retro-fit thanks to Konami’s Silent Hill HD Collection. Along with Silent Hill 2 this collection also includes Silent Hill 3. While this HD Collection is by no means the definitive Silent Hill collection, it was still great to head down memory lane, but this time in High Definition. Before I get into the nuts and bolts of this collection, I have to admit that I was caught a little off guard by a couple of things when I first un-wrapped the game. First, the game that started it all, the original Silent Hill, was not included in this HD Collection. You would think that the original game that started the franchise and paved the way for so many other great horror survival games would have been included in this collection, but sadly it is not. Secondly, many consider Silent Hill 4 to be the best of the series, so some argue that this entry should be included as well. Regardless, I have to admit having only two Silent Hill games included on the disk was somewhat of a disappointment. 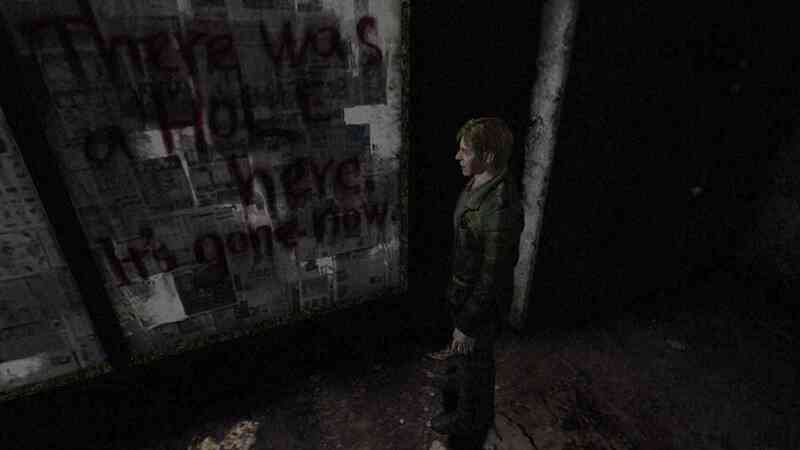 Perhaps another disk including the original, as well as Silent Hill 4, would have been ideal. For those of you who are curious, you can play either Silent Hill 2 or Silent Hill 3 right off the hop. So if you have no desire to play Silent Hill 2 you can jump into Silent Hill 3 right away without having to trudge your way through 2 first. I first jumped into Silent Hill 2 without delay. Much like the original game, the menus are laid out like they were 10-years ago and it made me realize that game menus have come a long ways since then. 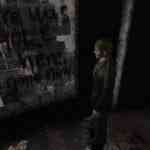 I certainly found the menus in Silent Hill 2, and 3 for that matter, quite dated and not exactly simple to navigate. As an example, when I encountered the first enemy in Silent Hill 2 it was unclear as to what buttons to use to attack the enemy. I was pounding away on the ‘A’ button, mashing the triggers and pretty much panicking, as the enemy was getting ever so close. 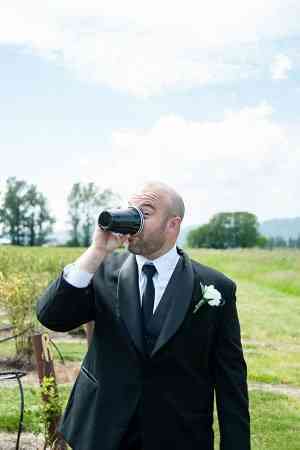 So quickly I pressed the select button that took me into the options menu. It had a breakdown of the button configuration but it was not specific in terms of what you must press to attack with weapons. I eventually figured it out, but regardless the old menu system could have used a reboot. Heck even a side bar lightning fast tutorial would have been helpful. 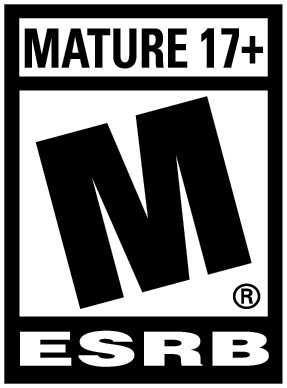 That said, I understand that the purists will likely appreciate that not much in terms of the menus, controls, or gameplay has been tinkered with, but an upgrade for those not accustomed with this franchise would have been beneficial. Much like the original Silent Hill 2 game, the controls do take some getting used to. 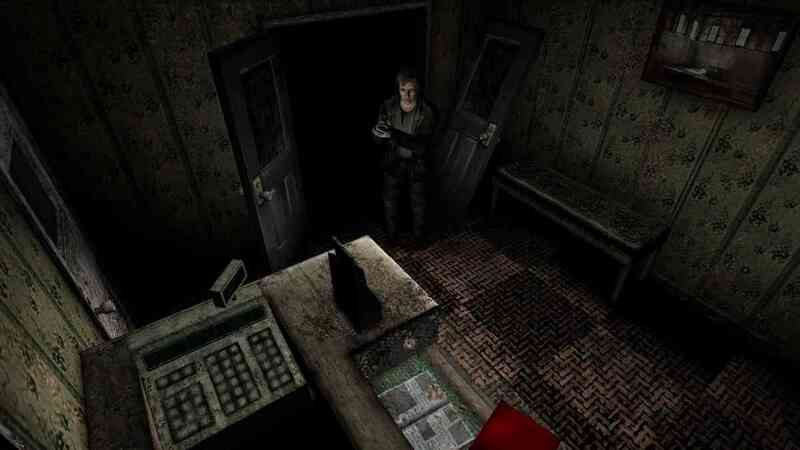 You cannot move the camera around like you can in the majority of survival horror games today. Instead you are left to navigate your character with the left thumb stick or d-pad and you are at the mercy of the games default camera. This certainly makes for some tense moments as you are attempting to flee a snarly looking enemy, but also makes for some frustrating moments as well. The inability to control the camera drove me nuts as not being able to see what is directly in front of you at times was a pain. Sure it did add to the tension and suspense but in todays gaming world it also took away from the gameplay experience somewhat as I found myself playing a guessing game in terms of which direction I should head. Not to mention there were just too many instances where I was wrestling with the controls trying to get a good vantage point only to come up empty. In the end though this static camera is to be expected given that the games are just an HD version of the originals. There is no question Silent Hill 2 is a game that requires patience, and frankly a good walkthrough guide for Silent Hill rookies. Objectives are not well marked, if at all, and you can spend an eternity simply looking for a health pack. There are several instances where I was not certain as to what I should be doing and there are many puzzles in the game that left me a little dumbfounded. So if you do not want to get stuck on a meaningless puzzle or lost in some dark apartment building then I would highly recommend you keep any one of the hundreds of Silent Hill 2 online guides or walkthroughs readily available. Story wise, Silent Hill is rather simple yet deep in many other ways as it goes places we typically do not see games go in this day in age. You play a man who is looking for his wife in the town of Silent Hill. She has been dead for years but he clings onto hope that she is alive after he finds a letter written by her. Throughout the game you will run into various characters, examine corpses, pick up an assortment of items, battle cranky monsters, and essentially navigate your way around this creepy and atmospheric town. As you go deeper into the story and run into more horrific creatures, your character’s emotions begin spinning out of control, and all in all the adventure ride is terrific. I found myself caring for the characters in the game and the story moves along at a nice pace. Visually, the developers did a decent job with Silent Hill 2. The high definition display of the game is an obvious upgrade over the original and the visuals in the game are a marked improvement. Does it graphically hold of candle to many survival horror games of today? 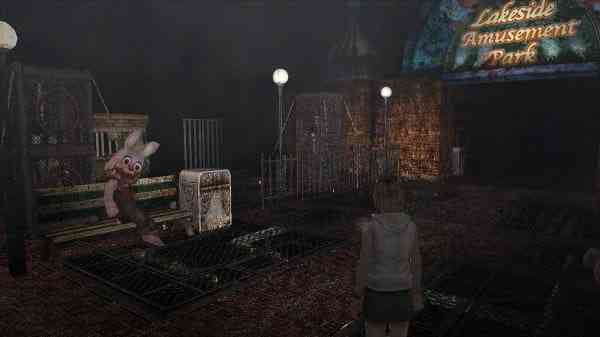 Well not quite, but compared to the original, Silent Hill 2 in HD looks good. That being said, the heavy dose of fog restricts how far you can see. I know it is atmospheric, and part of the game’s charm, but it is almost as if the developers were attempting to cover up the shortcomings of the game. The draw distance is simply non-existent as the fog restricts how far away you can see. Additionally, the game simply gets way too dark in way too many areas. If you are inside an apartment complex you can be completely lost because it is no darn dark. That is until you eventually pick up a flashlight. I tinkered with the brightness level but it still was not enough to overcome the incredibly dark areas. This same problem surfaces in Silent Hill 3 as right off the bat, and I found this dark contrast very difficult to overcome. After I spent a significant amount of time making my way through Silent Hill 2’s campaign, I switched gears and headed over to Silent Hill 3. My first observation was that Silent Hill 3 is indeed a slight visual upgrade over 2, but it is not quite on par in terms of gameplay and overall spookiness. This time you play as Heather, a teenage girl who finds herself being sucked into Silent Hill’s creepy alternate reality. As the game progresses Heather learns that a cult is planning to use her to ‘birth’ their god and thus Heather becomes caught in this conflict with the cult. 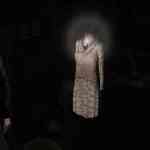 Unlike its predecessor, Silent Hill 3’s storyline is not as compelling or believable. I found I was asking myself, “what the heck is going on?” far too often. 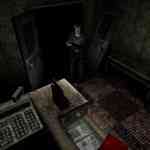 Again, objectives are unclear, puzzles seem meaningless, and it just did not seem as spooky as Silent Hill 2. You seemingly wait an eternity to start to make some sense of it all and the pace does tend to grate on your nerves. Silent Hill 3 stays true to the previous games as combat, puzzle solving and exploration remain the key elements of the game. It has its share of jaw dropping moments, and there are times where the hairs on the back of my neck stood tall. Yet the pace of the game is considerably slower and this will be evident for those who played 2 before 3. The atmosphere is creepy and music is solid, but it just does not that have that “wow factor” that 2 had. Despite this, Silent Hill 3 remains a solid entry and playing it one more time was enjoyable. Sound wise this HD collection’s sound package is a bit of a mixed bag. Silent Hill 2 gives you the option of playing with the new or original voice work. I found this a bit odd until I listened to some of the original voice work, which almost seemed laughable. The original voice work was exaggerated and slightly irritating. The purists will stick with the original, but I for one preferred the modern day voice work, which leads to a more compelling and believable experience. Sound effects and soundtrack wise, the HD collection as a whole delivers and is every bit as great as I remember. I should however mention that some of the lip-synching is way off the mark. There are just too many instances where lips are moving and no dialogue is present in both games. Overall, the Silent Hill HD Collection is game that fans of the original Silent Hill 2 and 3 games will likely want to play. I found that it was enjoyable to go down memory lane one more time as many of the elements that made these older games great remain untouched but only for a splash of HD; but like many things from the past, some should really stay in the past. Silent Hill 2 and 3 were definitely great games in their day but they do not hold a candle to other survival horror games that have been released in the last couple of years. At the end of the day, unless you are a die-hard fan of the original Silent Hill 2 and 3 games, you may just want to take a pass on this HD collection.